On May 5, 1818, German philosopher and revolutionary socialist Karl Marx was born in Trier, Germany. He is best known for his publications ‘The Communist Manifesto‘ and ‘Das Kapital‘, as well as his ideas have played a significant role in the establishment of the social sciences and the development of the socialist movement. Karl Marx was born in Trier, Germany, the third of nine children of Heinrich (Heschel) Marx, a lawyer, and his wife Henriette, nèe Pressburg. 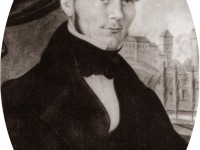 After finishing high school in Trier in 1835, he went to Bonn to study law and fiscal accounting. One year later he moved to the Friedrich-Wilhelms-Universität (today: Humboldt-Universität) in Berlin and attended law lectures. On April 15, 1841 Marx received his doctorate in absentia at the University of Jena with a thesis on the difference between Democritical and Epicurean natural philosophy. 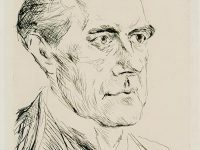 Counting for a professorship, Marx then moved to Bonn; but the politics of the Prussian government denied him – like Ludwig Feuerbach, Bruno Bauer and others – the academic career, as Marx was regarded as a leading head of the opposition left-wing Hegelians. Throughout his active working years, Marx was highly influenced by the theories of Georg Wilhelm Friedrich Hegel even though he often distanced himself from radical groups of ‘Hegelians‘. In early works, such das ‘On The Jewish Question’, Marx defined the cause of human freedom in the community rather than isolation. He also made his points about religion in general, considering them as a “response to alienation in material life”. The economic-philosophical manuscripts from 1844 are Marx’ first draft of an economic system, which at the same time makes the philosophical direction clear. There Marx developed his theory of “alienated work” based on Hegel in detail for the first time. In the first five fragments of German ideology dedicated to the criticism of the young Hegelian critic of religion, Ludwig Feuerbach, Marx and Engels developed a model of the “practical development process” of human history, which, in contrast to the Hegelians, they understand not primarily as a developmental process of the mind, but as a history of human practice and social relations: “it starts from the really active people and from their real life process the development of the ideological reflexes and echoes of this life process is also depicted“. Particular attention is paid to the moment of the division of labour as a determining factor of historical development. 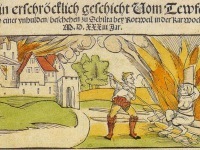 Marx had also participated in the editing of the German weekly Vorwärts!, published in Paris, which attacked the absolutism of the German states – especially Prussia – soon under Marx’ influence with a clearly socialist orientation. In early 1846, Marx and Engels founded the Communist Correspondence Committee in Brussels with the aim of unifying the content and organizing the revolutionary communists and workers of Germany and other countries to prepare the ground for the formation of a proletarian party. In the same year Marx succeeded in founding the Communist League and was commissioned to write its manifesto. It was published in the revolutionary year 1848 and went down in history as the Communist Manifesto (actually: Manifesto of the Communist Party). Shortly thereafter, the French February Revolution in 1848 caused political upheaval throughout Europe; when it reached Brussels, Marx was arrested and expelled from Belgium. Marx then went into exile with his family to London, where he initially lived in poor conditions of journalistic activity; he received financial support above all from Engels, who followed Marx to England. Politically he devoted himself to international agitation for communism, theoretically he developed essential elements of an analysis and critique of capitalism with a scientific claim. As a result, Marx’s major economic works were created. 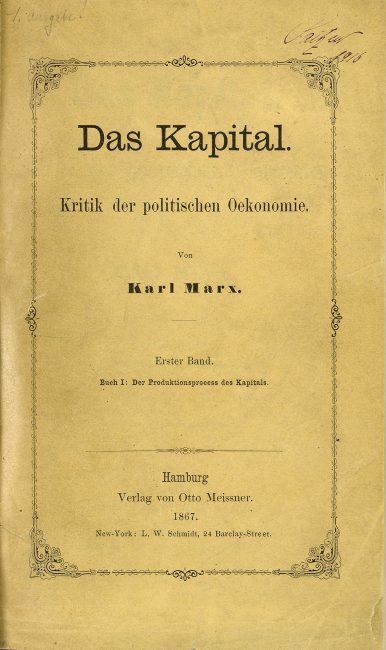 The first systematic presentation of Marx’ basic economic ideas was published in 1859 Zur Kritik der politischen Ökonomie, which was originally intended to be continued as the first issue. But Marx was not yet satisfied with the detailed execution of the overall plan, and so he began his work anew. It was not until 1867 that the first of the three volumes of his main work Das Kapital (The Capital) appeared. Marx himself published the first volume on commodity production. After his death, Friedrich Engels published volume 2 on the process of circulation of capital, and volume 3 on the process of capitalist production as a whole using the collected manuscripts of Karl Marx. In commodity production, Marx defines the exchange and the division of labour, meaning that different people are responsible for different tasks in the process as conditions for the existence of markets. He then on-goes a very critical analysis of the existing political economy and the system of markets in general. Marx discusses in the first volume how capitalist production processes amplify the struggle of the classes and he emphasizes various contradictions of the capitalist production methods. As one of the first political economists, Marx shows how profit is created through capitalism. In his mind, it is made from the exploitation of the worker, which became later known as the surplus value theory of profit. Marx was convinced that there can be no actual harmony between the capitalist and the worker, which causes struggles for better wages, and working conditions. Also he emphasized that there cannot be a long time balance in the market as a whole. Along with the Capital, Marx’ works are considered as necessary and groundbreaking, making him a significant contributor to economic thought in general, as well as philosophy, literature, and he is credited as one of the founders of modern social sciences. 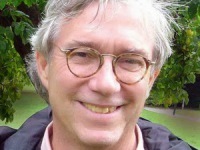 At yovisto academic video search, you may enjoy a video lecture by Ivan Szelenyi on Marx’s Theory of Class and Exploitation at Yale University.